I keep looking at the task, then it dawns on me how many images I've posted over the years then makes me think how long will it take. I've deleted my pb account as they were only copies from originals I store on my WDcloud drive, I then have a backup copy stored on my WD book drive, finally to complete my paranoia I have that backed up onto my BT cloud account. I think best course rather than trying a one hit mass reload would be plan to do x amount at a time. As you say the link info is intact so jot down the photo id's, find the originals then resize before uploading to my Flickr account. I've been playing around creating my own web gallery on my own web site, plus I've been looking a posting the photos within my web site server, then copy the links from my site into the forum. Promise I will make a start once I figure out whats best & easiest. Not an easy job, I've done my HS II layout build as it's still under construction and wasn't too photo heavy. I've just finished page 6 ...... 38 pages to go !! I'm in the mind of "I WILL DO IT" just as a two fingered gesture to PB. Anyway, I'll be pleased to see yours creep back a page at a time, helps me to realise I'm not the only one. Nothing new I'm afraid I'm just testing out another image hosting server, this one is imgbb.com. I like Flickr but having to strip out some of the bbcoding so it doesn't show the image number & author is a pain & I want to make it quick & simple so I can hopefully upload all my photo's back into both threads. 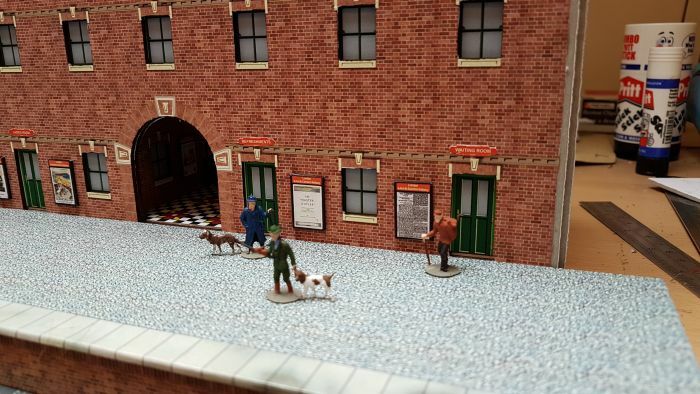 New Wordsworth Station with some test figures on the platform. Geoff I believe you use imgbb.com, from your experience how have you got on with this site, hope it's a got thumbs up as my first test photo seems to have loaded OK, no wording from the server site brought through with the image & uploading to the server nice & simple, so too is grabbing the posting bbcoding for the forum thread. Well I've just uploaded all the images for page 56 within this thread, if anyone is interested in doing something similar with their own, here is how I did mine. 1. Open up Notepad on PC, pull window to far right of screen. 2. Open browser & go to the forum page being worked on. 5. Once all URL's saved, strip out all wording leaving only the photo ID number, save file again. 15. Upload all resized images to your new photo server. 19. Past this new link over the old PB link. 21. Click submit & your photo's will now show. Hope this helps as it made the process for me pretty quick & straight forward. Once logged in to Flickr only three sections are required. a time consuming but reasonably simple matter of editing all of your relevant forum posts. All my photos on the Wordworth Card Kits thread have now been updated. It's great to see you guys working out how to streamline the process. It does show the benefit of retaining the cameras allocated numerical file name. In the bad old days of DOS it would have been simple at this stage to write a .BAT file with the addition of the odd BAT file enhancer, to write a script to do it for you. Unfortunately the scripting languages available now are so much more powerful that it takes longer to master the latest version than it does to do the job yourself. Such is progress. It's been a while again since any news from myself, not much has happened but that's not to say nothing has happened as some work hass been done here & there, just not as much as I certainly would like. My old wordsworth layout was pretty much completed in the same time scale, still just shows how life can force you down different roads. 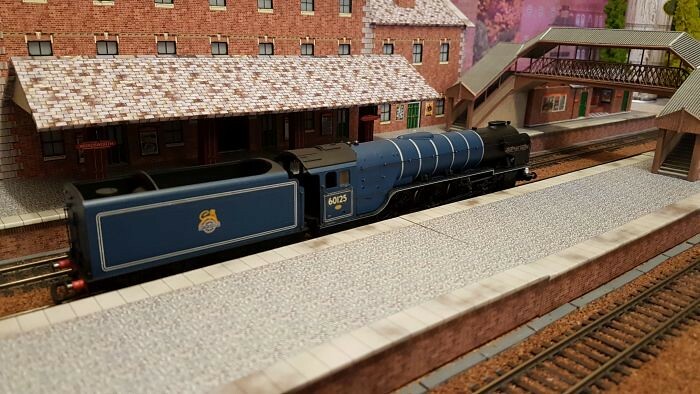 So what do I have to report, well I do have some great new rolling stock which my lovely wife bought for my birthday months ago, I also got some more rolling stock from my son, daughter & son-in-law. I'm not going to tell you what these are but they look stunning & I will so you later once I get them from there boxes. First I had to complete the ballast work, the final section of track on the east side curves from Wordsworth station, this I'm happy to say is done & yesterday I spent an hour with the airbrush weathering the track & ballast work down, just needs a few more tweaks here & there & it's done, finally movement can go ahead with scatter to green the whole place up. 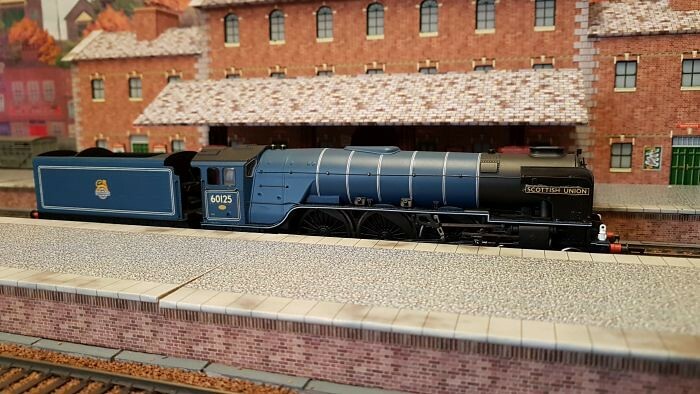 I've also purchase a second hand Bachmann A2 North British, picked it up for a snip at £56 from eBay, didn't come in it's original box but for the price a nice little steam loco which will enhance my fleet. Did come with tow surprises, first the hand rail on the front left smoke deflector was missing which was not mentioned in the description & the photo didn't show that side of the model, but when I stripped the model down to fit a decoder I found an 8 pin decoder was already installed, so a compensating bonus shall we say. 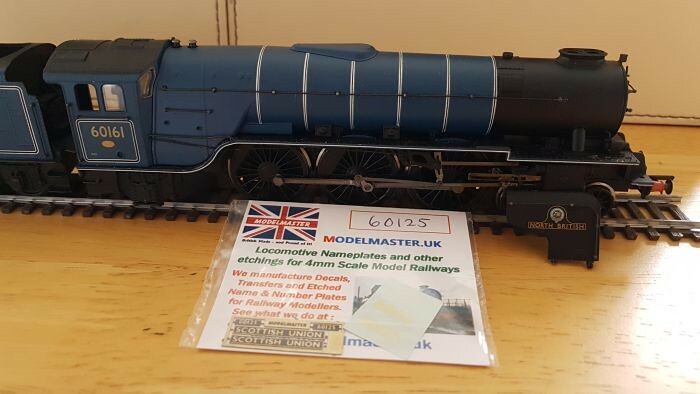 I bought the loco as I've been wanting to have a second attempt at a loco rename / number & this one has it all over, so with some Model Master etched brass plates & new numbers it's become Scottish Union & will operate with my other Bachmann A2 Bonnie Dundee. 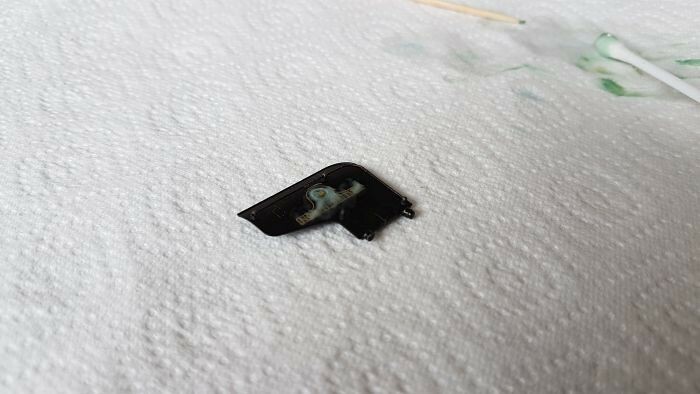 The conversion went nice and easy, first stripped off the smoke deflectors, bought some 0.45mm brass hand rail wire & new knobs so I could fix that left hand smoke deflector, fiddly but well worth the effort, a quick spray using the airbrush made it look like new. 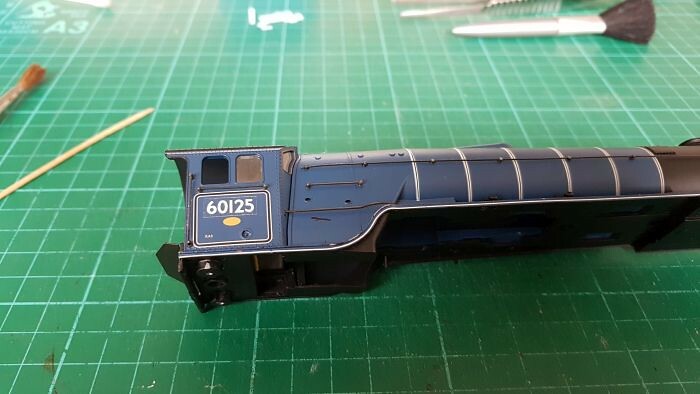 Removed the old name plate & old loco numbers using some stuff I've had in my kit box for years & with the aid of a **** tail stick gently removed the items. 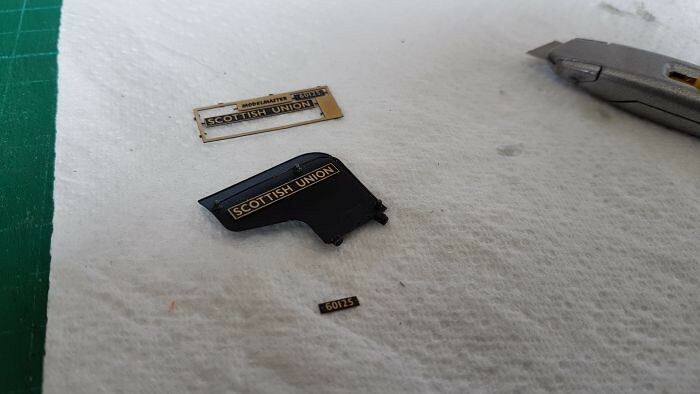 The brass name plates I glued onto the smoke deflectors using Uhu & the numbers are water slide transfers, not down this type of thing for years but the finished results are impressive. Here's my starting point, donor loco & new plates. First to go were those cab side numbers. 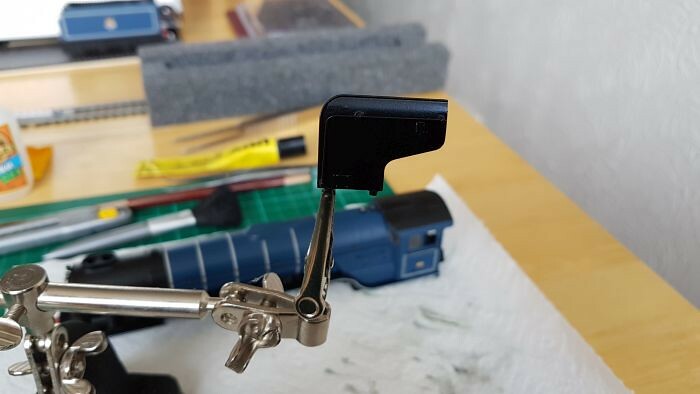 Hand rail constructed & a nice coat of black acrylic paint applied. Next we fix the brass name plates. Then go on the cab side water slide numbers. 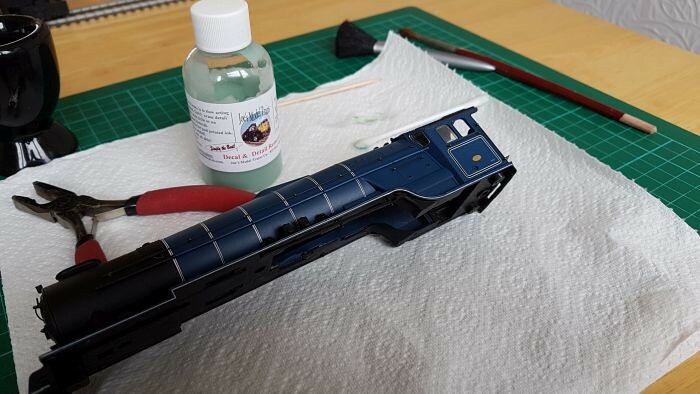 I've run out of pictures at this stage but I'll show you my finished work with the loco sat on my layout. I do have a few other things to report but I feel I've waffled on for far too long as it is, maybe this evening I'll have another bash at finishing the update. A nice little project, looking forward to seeing the end result. Looking very nice. Always worth the wait for your postings. Nice work Mike. Great to see you online again. I appologise for our paranoid profanity checker that serves no purpose but to emphasise embedded four letter words. One day I'll find its exceptions list. My second attempt at posting this morning, my first one disappeared before I'd completed it, didn't go into draft, didn't post, just gone. So I'll try again. I'm still surprised how popular Wordsworth is even though my posts & updates are so far and few nowadays, one day I hope to get the balance been modelling and work balanced as more modelling & less work means less stress. So lets get back to my Bachmann A1 project ( ) so you can see my final results. But before we get there can I stress when instructions tell you to do something it's for a reason. 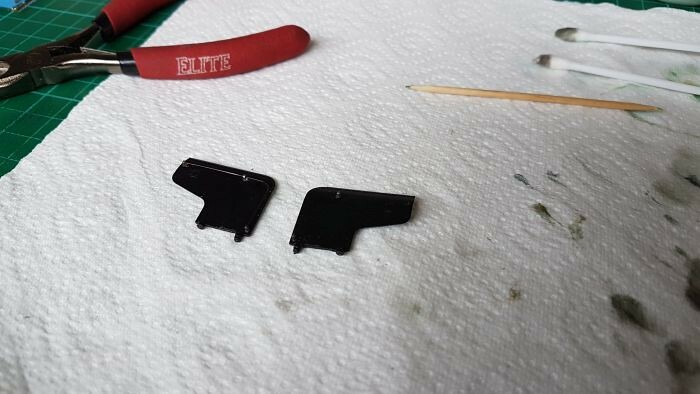 Model Masters said once you glue the Brass name plates in place, leave the model flat for 24hrs to avoid any slippage. This is what could happen if you don't follow advice. Still she does look good sat at Platform 2 waiting for her duty shift to start, plus once I have a go at weathering her those plates might not look as bad. 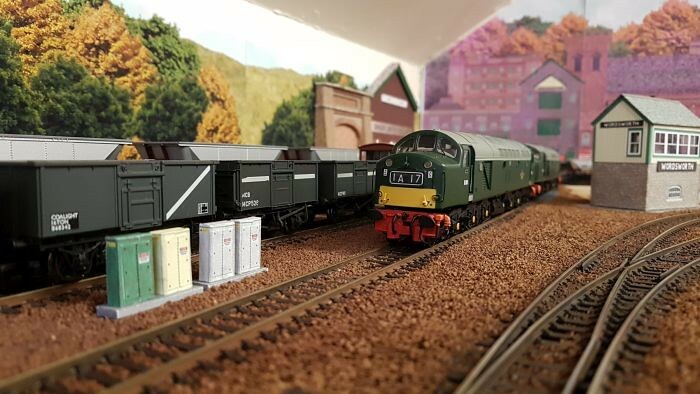 A pair of class 40's parked up in Wordsworth sidings along with some 16ton mineral wagons & behind them some MGR wagons. I've got a few more bits to show but that's in my next post. "If all else fails read the instructions"
Shame, but doesn't show up too much in the photos. I thought I'd start the New Year off with a post showing some work I've been doing around North Fangore TMD (The Diesel shed part). I've been busy laying my packing card sheets which brings the level just right for the top covering layer of concrete paper so it just sits lovely below the rail tops. 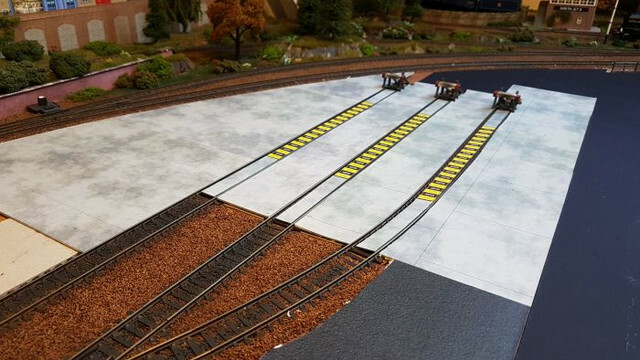 This way you can still use the peco track rubber for track head maintenance. I've only got one shed done but it's working out just as planned. Once I've completed this section I want to get the terrace row finished so the final section of TMD walling can be installed. I'll then complete the last two sections of the 3 lane shed before moving over to complete the concrete paper section around the 2 lane shed, ideas being thrown around is a duplicate of the 3 lane shed scaled down, or maybe a modern version, or a combination of both. No rush as plenty to do around the 3 lane shed side & terrace row for a few weeks. 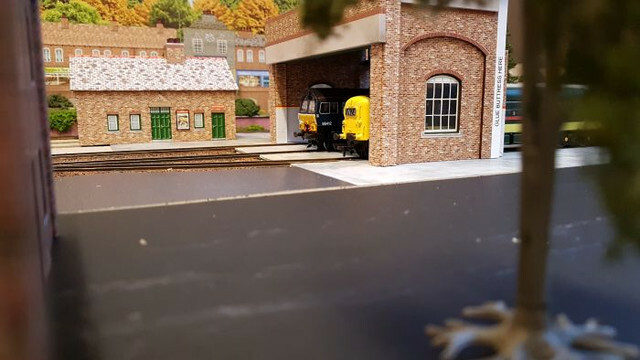 Hopefully today I can do a few more hours,, get some static grass & scenery down behind the other terrace row which is nearly complete to the left side of the TMD entrance. Its quite funny how quickly this TMD baseboard section hass gone from bare to something that looks very liveable. Testing the look & feel with the 3 lane fascia sat on the concrete sections. A class 55 & 66 test things out for size & track clearance. 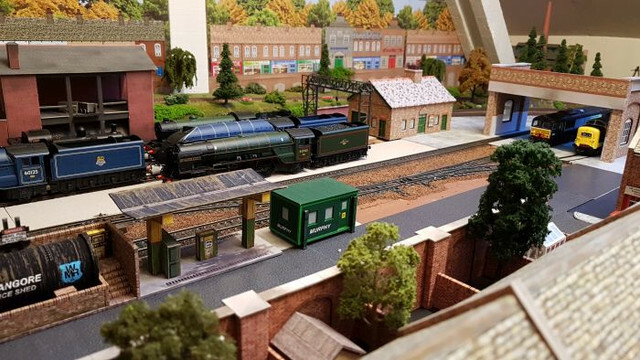 Entrance to the TMD, I've turned the shop 90 degrees so it runs towards the entrance which I feel give a better view. 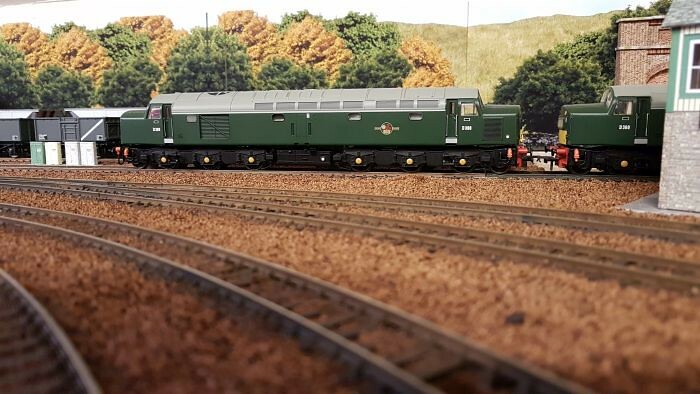 View showing the TMD layout, I've tested the diesel fuel point for operation & all works fine, something I did forget about was the DMU's but hey it's only a model not real life. 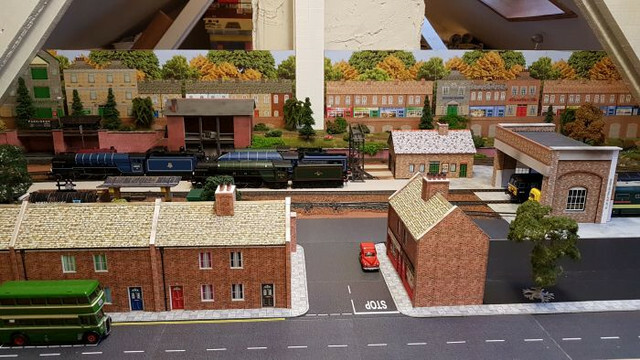 A general view showing the full TMD entrance with a row of terraces to the left, to the right will be some more shops / housing & these fenced from the TMD area with a large arched wall. So time to sign off & I'll catch you all in my next posting. 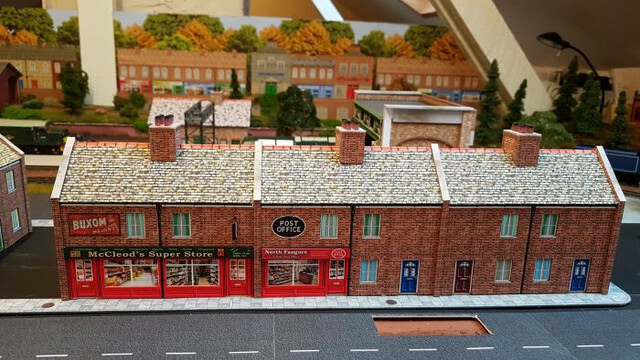 I've added a few more houses & shops to the scene being created outside North Fangore TMD. 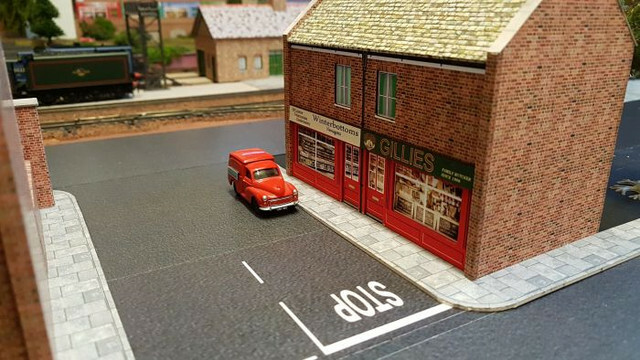 I'm now ready to start work on the TMD wall behind the house & add a small delivery store keeping buildings in the form of garages / outbuildings. Ok I know it's not a load of work but just shows work is still on going. 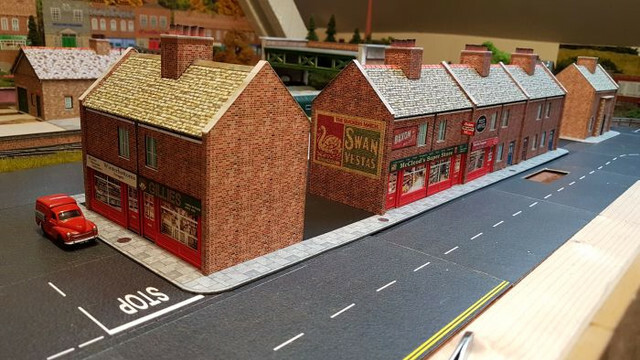 So work on my townscene continues with a neew super store & now a post office. Street scene with a lovely cameo in process, hole in the road is for a road work scene.